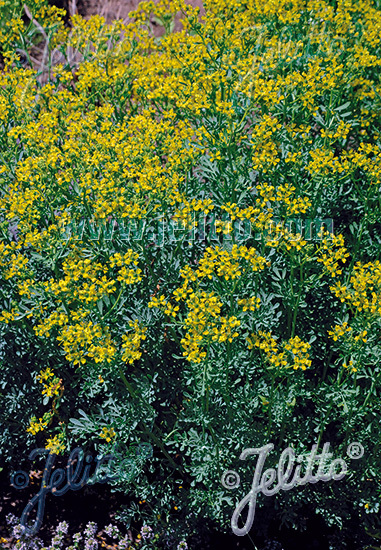 Origin: Southern and eastern Europe, southern Central Europe, eastern Mediterranean: shrub heaths and rocky areas. Special Features: RUTA graveolens is a versatile scent, aromatic and medicinal plant. 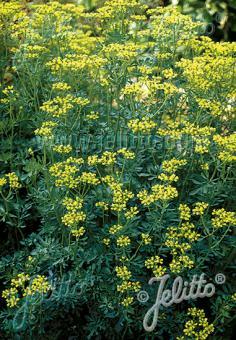 The blue-green foliage is very decorative and so far the rue has been underestimated as a bed plant. Historical: Traditional medicinal and spice plant since the Middle Ages.